Upload music tracks and images and provide details below.. Fill out the form, providing your details again and continue to upload your new tracks. Feel free to use the 'special comments' field at the end of the form to explain your situation, and we will contact you. 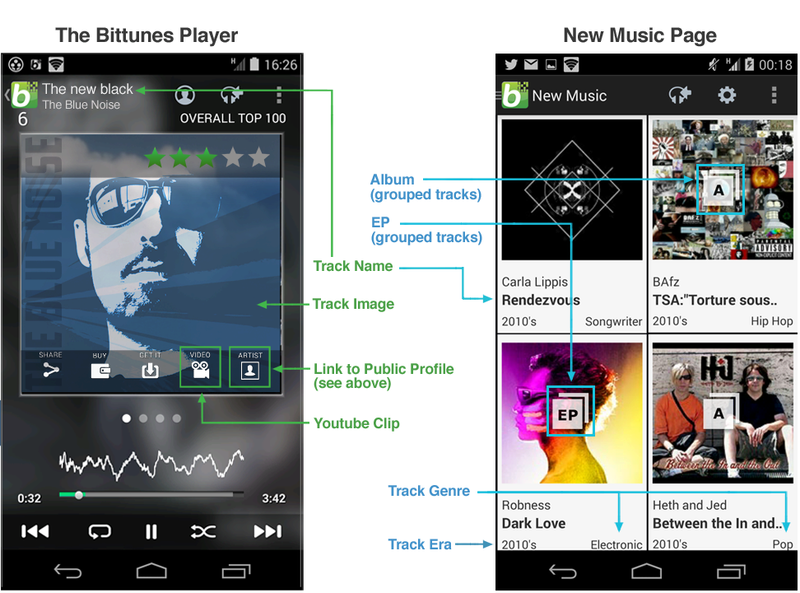 If you do not have an Android Device, we can still help you create a Music Maker Account. Feel free to use the 'special comments' field at the end of the form to explain your situation. Use an email address that you check fairly regularly.. This is the email address that you will use to log into the app. 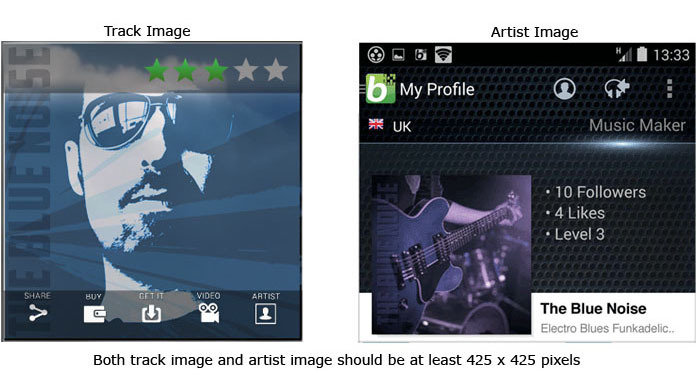 The Band/Artist name will appear on your Private & Public Profiles (below) and on your 'Music Maker' listing. If you already have the Android App, then you should enter your profile details and tag-line in the App. 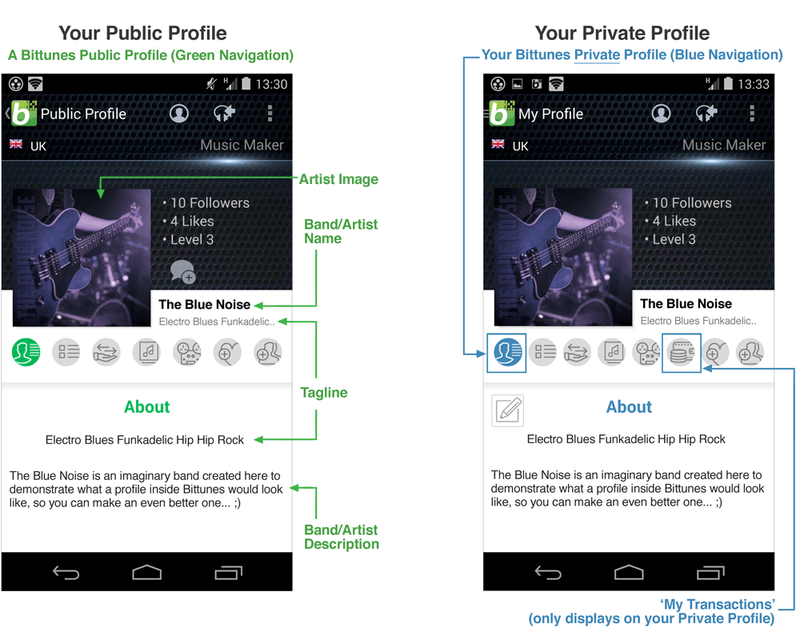 If you do not have the Bittunes App check the "No I don't have the App" option above, to provide Description & Tag Line. The Band/Artist description can be as long as you like, (within reason), as the page will scroll..
What exactly are you uploading? If you are uploading an individual track you can enter the track name here, if you uploading multiple tracks you can specify track names below, of name the audio file with the same name of the track. If you are uploading only one track, select the genre most appropriate for that track here.. If you do not find a genre that fits, select 'other' and suggest one.. If you are assembling an EP or Album, choose one genre to represent the entire work. Accepted file types: mp3, wav, mka, aiff, m4a, zip, flac, . This uploader will accept jpg, png files **(to a maximum of 15 megs per file)** ~ If you have uploaded an Album or EP with multiple tracks, you can have an image for the Album or EP and also individual track images, but please identify them in the file names. You can use this field to write any comments that you think are needed. I confirm that I am the copyright holder, or have been authorised by the copyright holder of the content, to upload this material. It is quite important to consider this statement carefully, because Bittunes takes the issue of copyright very seriously and.. its just not cool to make false statements.. ok? I confirm that as the rights holder, I am extending the provisions of this license to allow the trading of these uploaded music tracks on the Bittunes platform, in accordance with the legal provisions of Creative Commons.